Hayward Wells, age 93 years, a resident of Vienna, passed away Friday afternoon, February 8, 2019, at 2:34 PM at the Hillview Health Care Center in Vienna. Hayward was born December 15, 1925 near Simpson. He was the third of six children born to George and Eunice (Street) Wells. On May 13, 1947, Hayward was united in marriage to Melba Palmer. She preceded him in death on May 15, 1997. Survivors include: a son – Carl L. Wells of Vienna; several grandchildren, great grandchildren and great-great grandchildren; a brother – George (Carmen) Wells of Paducah, Kentucky; a special friend – Rhudell Batey of Vienna; a host of nieces, nephews, cousins, other relatives and many friends. In addition to his parents and wife, Hayward was preceded in death by: his daughter – Sue Rolondo; a sister – Alma Rita Parmele; 3 brothers – John S. “Jay” Wells, Lindell Wells, and Coy Wells. Hayward was employed as an operating engineer and was a member of the I.U.O.E. Local # 150 in Joliet, Illinois. A Masonic Service will be conducted Tuesday afternoon, February 12, 2019, at 2 PM at Bailey Funeral Home in Vienna. Immediately following the Masonic Rites, a funeral service will be held. Pastor Billy Thomas will officiate. Burial will be in the Gilead Cemetery near Simpson. 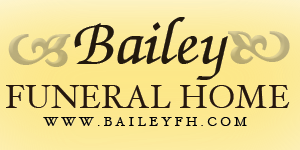 Visitation will be conducted from 1 PM – 2 PM Tuesday at Bailey Funeral Home in Vienna. Memorials may be made to the Gilead Cemetery Fund, c/o Norman Lee, 690 Gum Springs Road, Simpson, Illinois 62985.